Some of my very favorite gifts to give- and to receive, of course- are vintage and rare books. One of the first out of print books that was given to me was Christopher Petkanas' "Parish Hadley- Sixty Years of American Design". 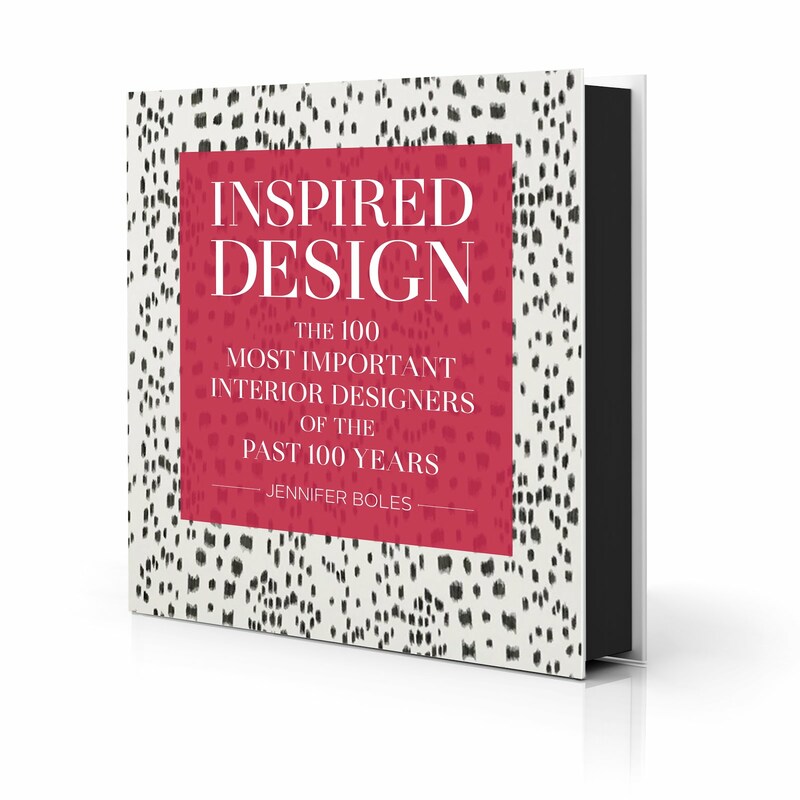 It was a birthday present from my parents, and it was one of the books that really got me hooked on design and, more importantly, my idol Mr. Hadley. Perhaps this is why I'm so excited about my Tastemaker Tag Sale that will take place this evening on the website One Kings Lane. 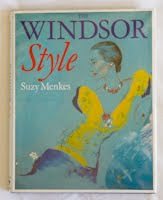 I'll be selling all kinds of vintage books including tomes on design, cooking, photography, fashion, gardening and jewelry. 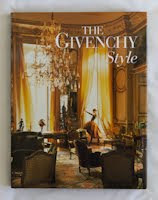 "The Givenchy Style" and "Horst Interiors" are just two of the titles that will be featured. The common thread that runs through all of my selections is that these are all titles that I either have in my own library or that I feel every library should have. It will be a great opportunity to buy a few Christmas presents (for others or for you!) at really great prices. The online sale starts tonight at 9PM EST (6PM PT) on One Kings Lane. Click here for more information. 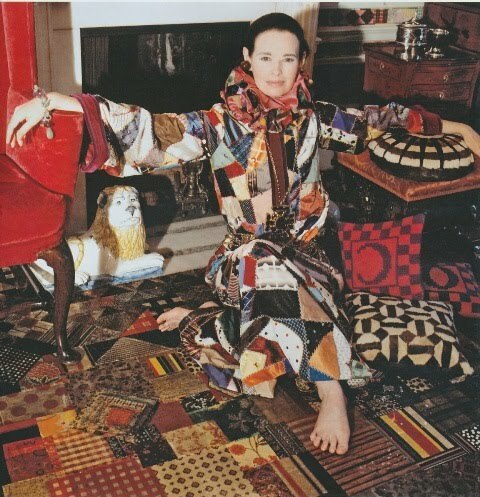 When I first saw photos of Gloria Vanderbilt's patchwork bedroom a few years ago, I did not know what to think. Oh, okay, I did know what to think- I thought it was rather unfortunate looking. That's blasphemy to many, I realize, but I'm just telling the truth. 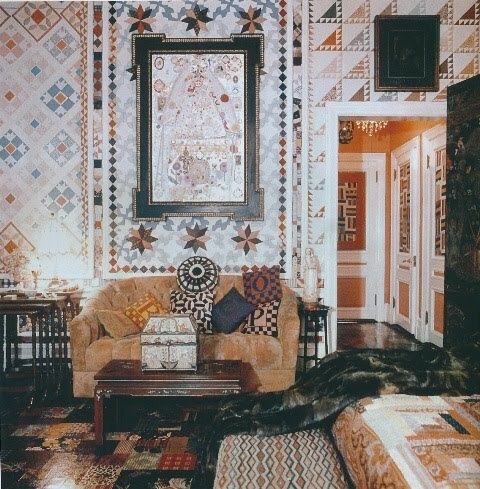 I really didn't get the concept of covering walls and ceiling in patchwork quilts. The famous patchwork bedroom (or infamous, depending on how you look at it) with its lacquered floor. Horst P. Horst, photographer. I get that patchwork isn't for everybody. Quite frankly, it's not for me either. But the idea of lacquering fabric? That's a concept I do get, and it's one that can look absolutely fetching. G.V. 's lacquered floor was inspired by one she had seen years earlier in the apartment of Juliana Force, the first director of the Whitney Museum, the museum founded by Vanderbilt's aunt Gertrude Vanderbilt Whitney. 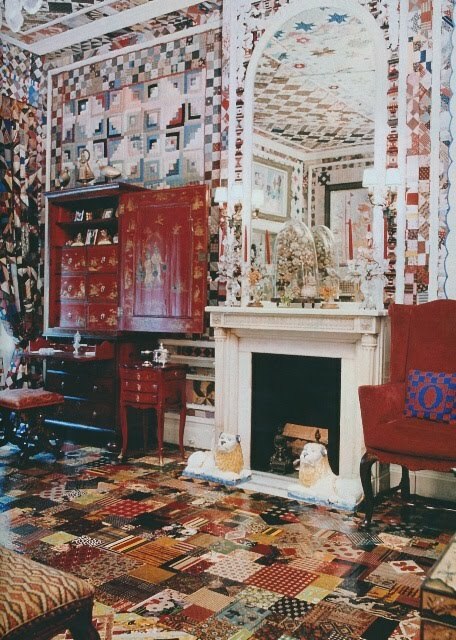 In Force's home, the floors were covered in a floral fabric that had been sealed with numerous coats of lacquer. A rather original idea, don't you think? 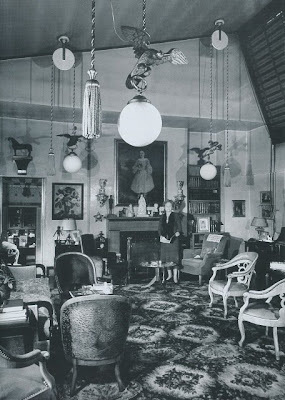 The apartment of Juliana Force as photographed by André Kertész. Reading about G.V. 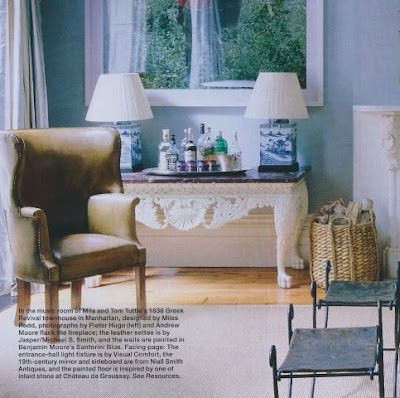 's lacquered bedroom floor reminded me of a Karl Springer table that I had recently seen on dealer Liz O'Brien's website. The c. 1970 table, seen below, is wrapped in a glazed batik fabric. Not only do I find the batik print charming, but the glazed finish seems to impart some spiffiness to the rather humble fabric. 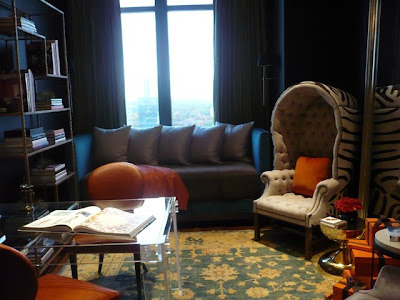 While I honestly don't think that I'll ever do a lacquered fabric floor in my home (especially a patchwork one! 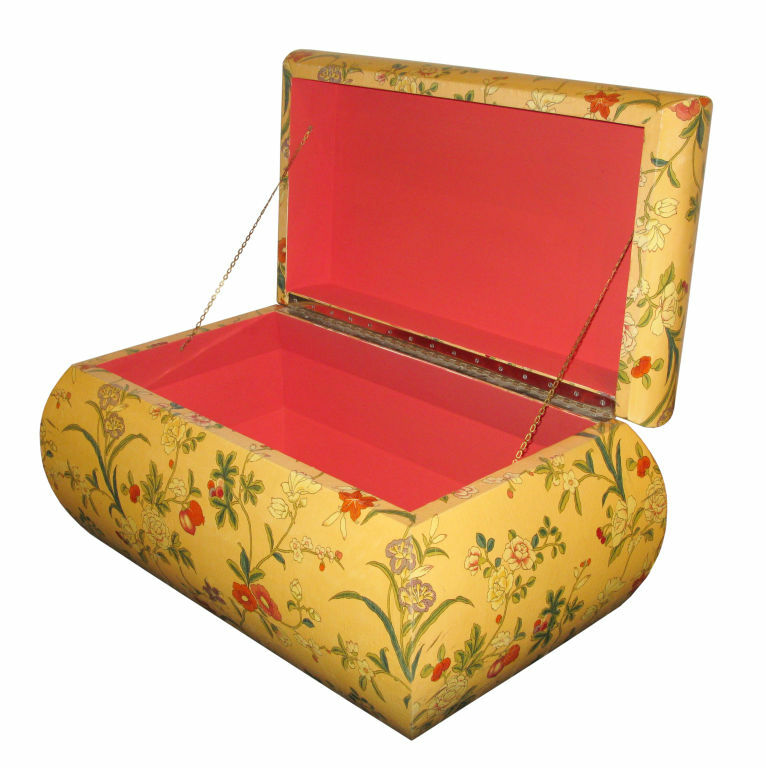 ), I can absolutely see one of Springer's glazed fabric pieces fitting in quite nicely. Do you? 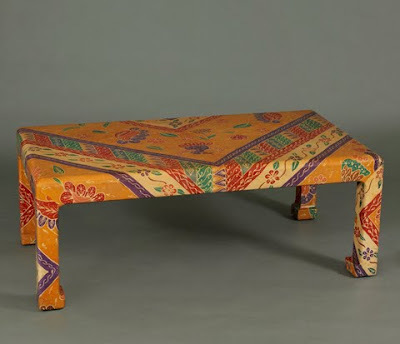 A c. 1970s Karl Springer glazed batik low table, available at Liz O'Brien. 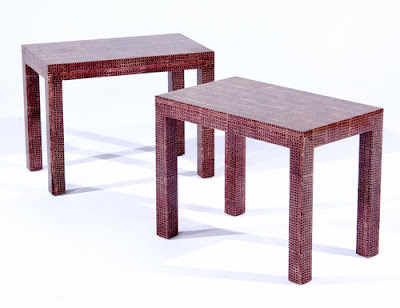 A pair of glazed batik Karl Springer tables that were sold a few years ago through Rago Arts & Auction Center. 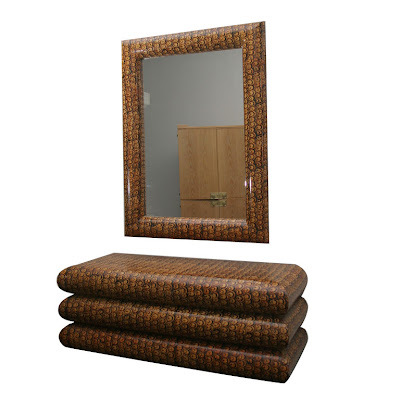 A Karl Springer batik wrapped hanging console and mirror from the 1970s, available from Palumbo. A Springer trunk with lacquered batik finish from Lobel Modern. 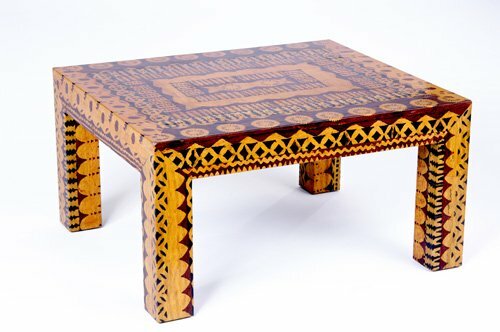 Another Springer table sold a few years back through Rago Arts & Auction, although this one has a far more graphic batik than the previous examples. 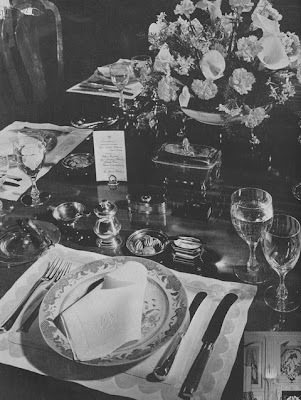 I'm signing off for the holiday but not without a little tablesetting inspiration courtesy of Mrs. Harrison Williams, later known as Countess Mona Bismarck. 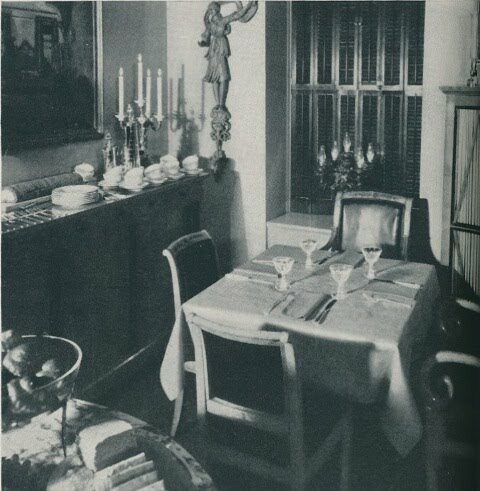 Mona obviously knew how to set quite a fetching table. The chargers and centerpiece were famille rose Lowestoft, while the flatware was George II with green ivory-handled knives. The floral centerpiece held carnations which, by the way, are a favorite flower of mine. It looks like the small silver dishes hold mammoth pecans, though my eyes may be deceiving me. And, the beautiful menu card was silver-edged and crested white parchment. 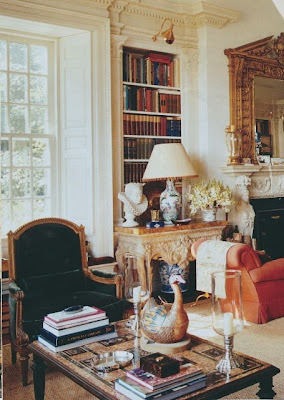 Chic, don't you think? So however you decorate your table, I hope that you all have a very Happy Thanksgiving. I'll be back next week, but not before I share a little news with you. I'll be having my own Tastemaker Tag Sale on One Kings Lane next Tuesday evening, November 30 where I'll be selling, what else, vintage design, gardening, fashion, and cookbooks, most of which come from my own collection. Details to follow next Monday. See you then! Last week, I was given an exclusive preview tour of the 2010 Atlanta Homes & Lifestyles Christmas House. 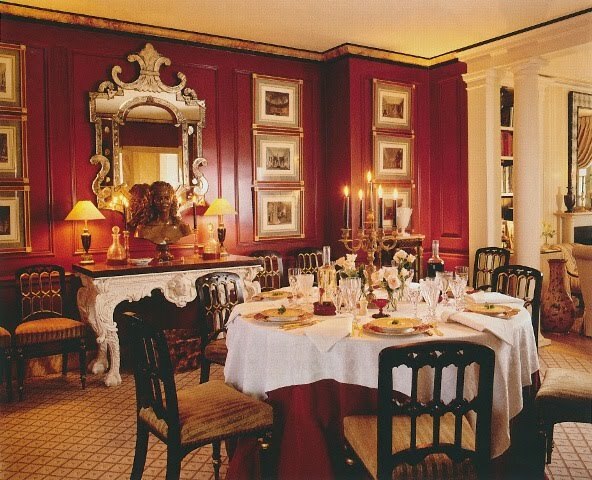 One of the preeminent showhouses in the United States, this year's Christmas House is located in two residences that take up the entire 41st floor of The Mansion on Peachtree, a Rosewood Hotel & Residence. (Rosewood also owns The Carlyle in New York, so you could say they are sister properties.) 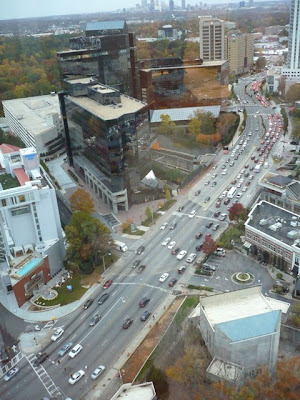 Really, what could be better than touring two apartments that have been decorated by some of Atlanta's finest designers and that boast breathtaking views like this, which offer a 360-degree vantage of Atlanta. On clear days, you can see as far away as the far north Georgia mountains, not to mention Stone Mountain and Kennesaw Mountain. This year's showhouse, a fundraiser for the Alliance Children's Theatre, has a few bonuses, too. Celebrated Los Angeles Designer Hutton Wilkinson left the fabulous confines of his home, Dawnridge, in Beverly Hills, to come to Atlanta to decorate a room that is one of the chicest studies I've seen in years. (The talented Stephen Boyd, an Atlantan, assisted him. 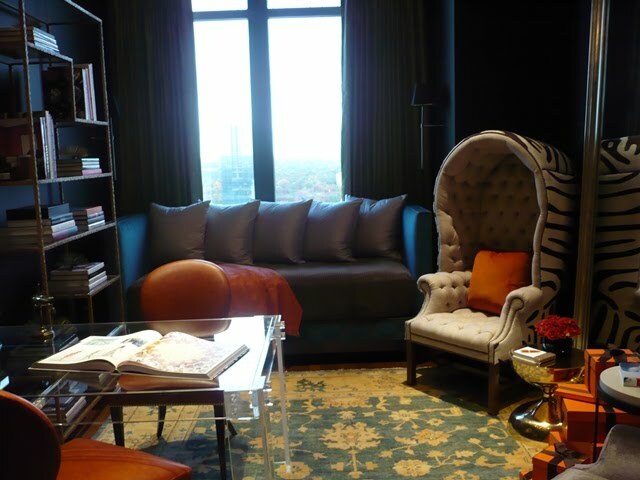 I'll post more about that room in the next few days.) And, another star talent, John Oetgen, has designed an entire residence on the 42nd floor that will also be open for viewing during the run of the tour. So, visitors to this year's Christmas House actually get to see three different decorated homes. 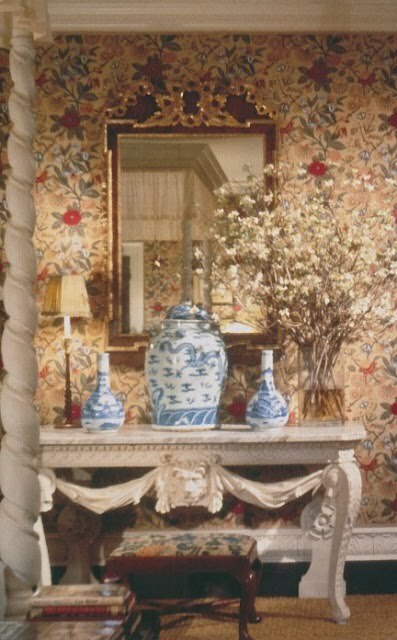 One of the great things about the showhouse- and Atlanta, for that matter- is that design-wise, there is something for everybody. 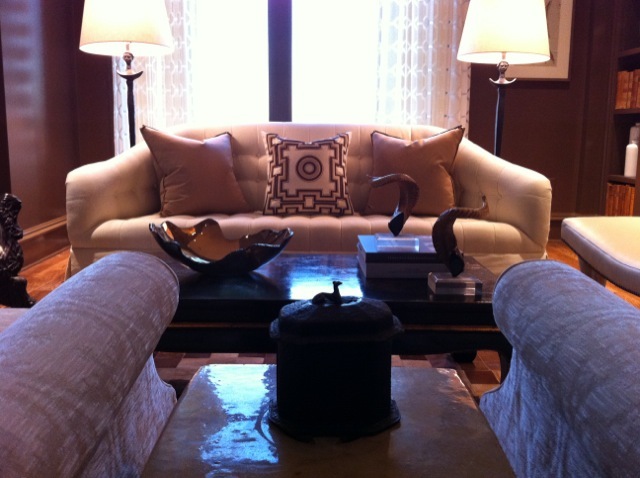 It's a stylish mix of traditional and contemporary, which is so appropriate for the high-rise setting. 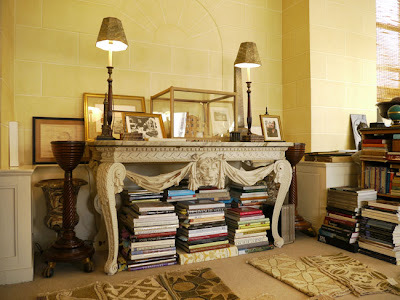 So what inspiration did I take away from the showhouse? 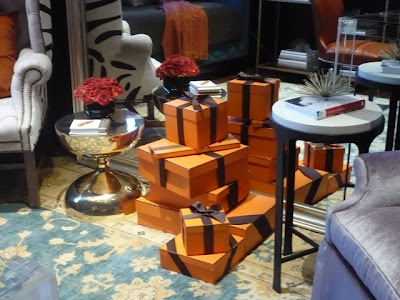 Brown, citron, mineral encrusted tables, decorative painted walls, and Hermès boxes aplenty. You'll have to visit the showhouse to see what I mean- or, if you live outside of Atlanta, you can see photos in the February issue of Atlanta Homes & Lifestyles. But in the meantime, here are a few images to whet your appetite. Enjoy! 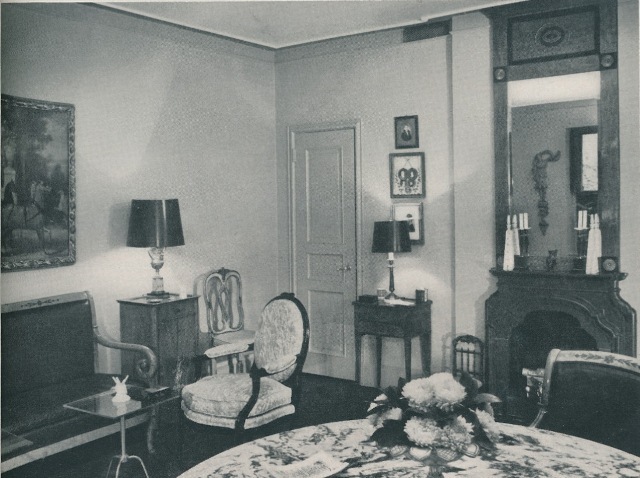 Room designed by Tish Mills. That mound of minerals is actually built into the table. Detail shot in the dining room that was decorated by Beth Webb. 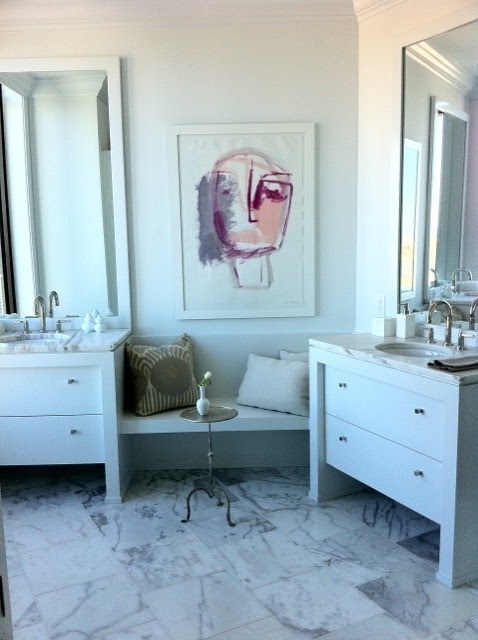 The chic bathroom by designer Barbara Howard. The library as decorated by Phoebe Howard. 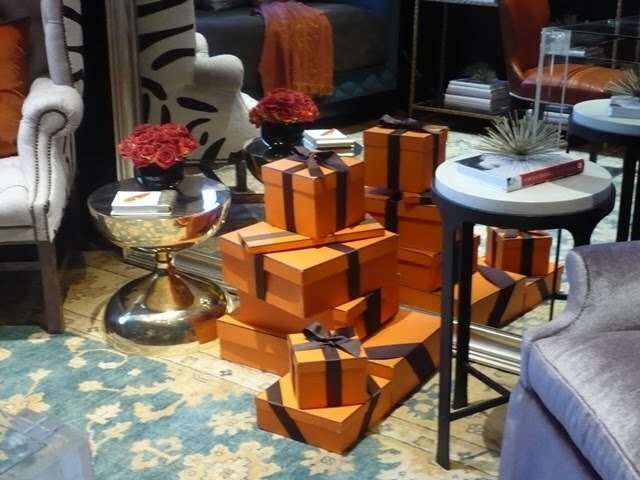 A pile of Hermès boxes in the room of Amy Morris. Christmas House logo courtesy of Atlanta Homes & Lifestyles. 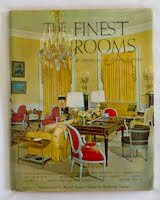 Images cannot be shared, reprinted, nor reposted without the express permission of The Peak of Chic and Atlanta Homes & Lifestyles. 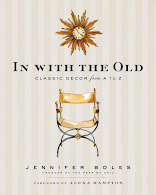 Copyright 2010 Jennifer Boles. Truth be told, what initially caught my eye were those glossy black lampshades. But then I focused on that intriguing looking dish in the foreground which just happens to be the Galantine of Duck. In case you're wondering, a galantine is made of meat that has been de-boned, poached, and then chilled and covered with aspic. That would explain the gelatinous looking stuff around the base of the galantine. The rest of the menu included Pâté Maison, Hot German Potato Salad, Brioches, and Chocolate Roll. I actually think it all sounds rather tasty. But what might be even more interesting than the menu is the room where this photo and the others below were taken: the Manhattan dining room of James Amster, noted decorator and developer of Amster Yard where Billy Baldwin once had an apartment. 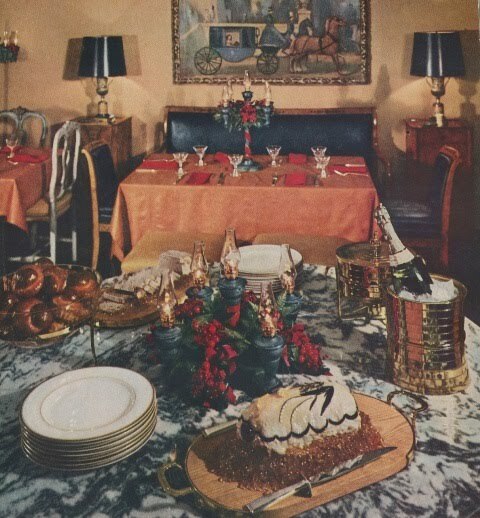 With decor like this, I think you could serve chopped liver and everyone would still have a marvelous time. Have you read Jessica Kerwin Jenkins' new book Encyclopedia of the Exquisite: An Anecdotal History of Elegant Delights yet? I just finished it, and it's one of the most charming books that I've read in quite some time. 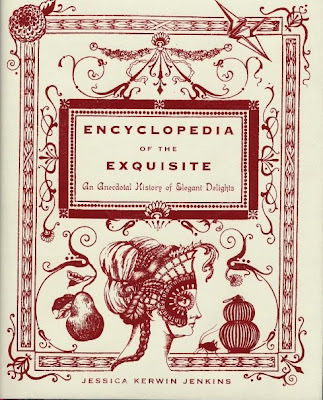 No, a galantine isn't included in Jessica's book, but other flights of fancy and examples of the exquisite are like blancmange, milk baths, origami, and poufs. If this all sounds a little confusing, it's not. Just think of the book as an encyclopedia and history of some of the more delightful and at times curious things in life like confetti, twilight, tea, and red lipstick. I think that that last example might be enough to encourage some of you to read it! So now let's look at William Kent, the 18th c. British painter, interior designer, and architect who was a major figure of Palladianism, a style that was based upon the designs of 16th c. Italian architect Andrea Palladio. 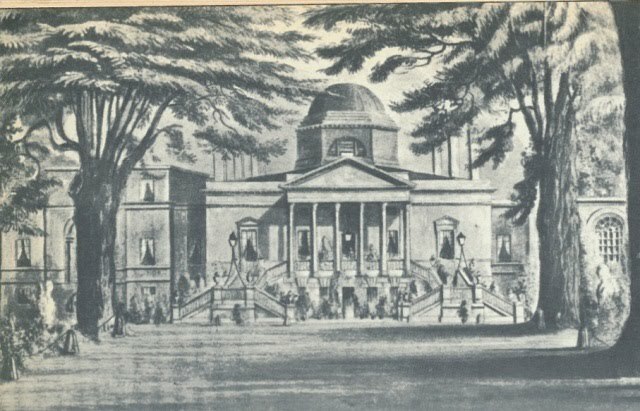 Palladio's Classical architecture was strongly influenced by ancient Roman architecture and art. 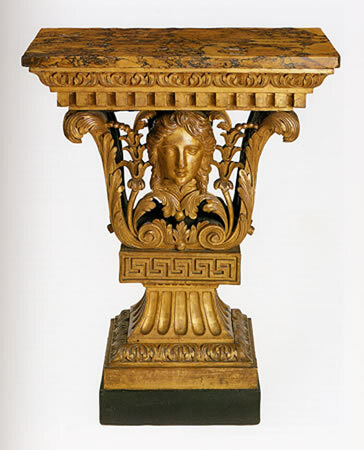 It was this Classicism and its motifs of shells, masks, and pediments that form the basis of Palladian design. 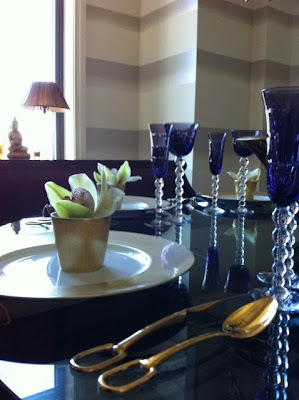 In fact, if you look back at yesterday's photos of Kent style tables, you'll see these motifs featured prominently. 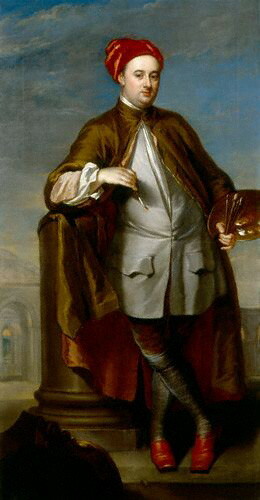 Kent's career shifted from painting to interiors and architecture after meeting Lord Burlington, one of the major champions of this British Classical style. 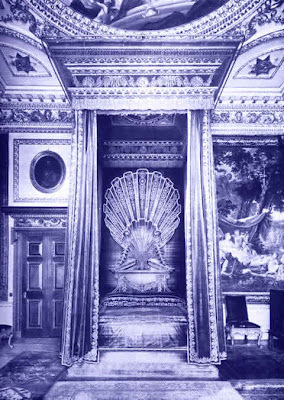 It was Burlington who hired Kent to decorate both Chiswick House, Burlington's Palladian style villa outside of London, as well as his home in London, Burlington House. Under Burlington's patronage, Kent went on to design the exteriors and interiors of such houses as Kensington Palace, Houghton Hall, and Holkham Hall. 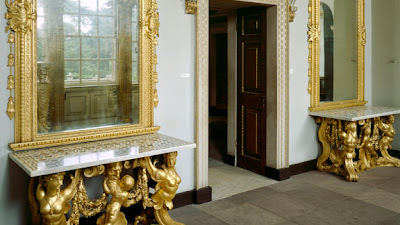 One aspect of Palladian design that I find so interesting is that while the exteriors of these Palladian homes reflected the restraint of classical architecture, the interiors tended to be ornately and richly decorated. Perhaps this is why I am so taken with Kent style tables and their elaborate carvings and reliefs. The ultimate might be to live in a house like that at 44 Berkeley Square, London, in which Kent served as architect. 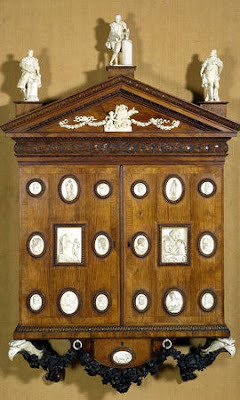 Barring that, though, I'd be just as happy owning anything in the style of William Kent. 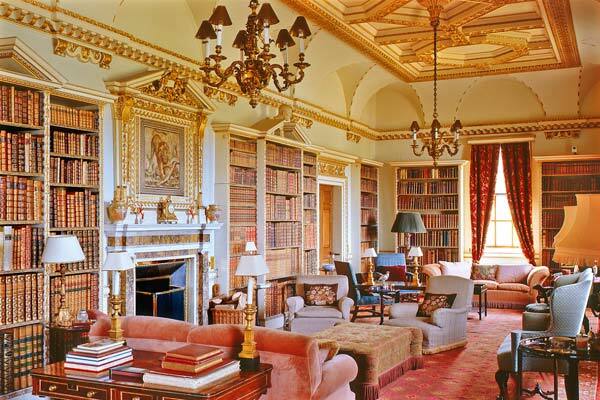 The Long Library at Holkham Hall, designed by Kent. 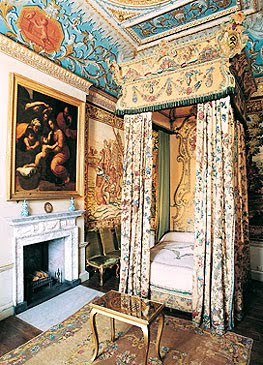 One of the state bedrooms at Houghton Hall that still retains the original furnishings and decoration by Kent. 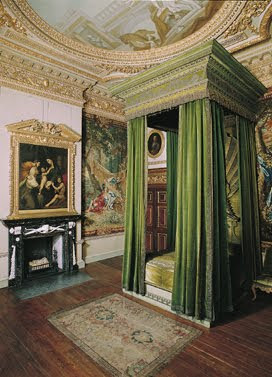 Another state bedroom at Houghton Hall, this one with Kent's famous green velvet bed that features a shell over the bed's head. 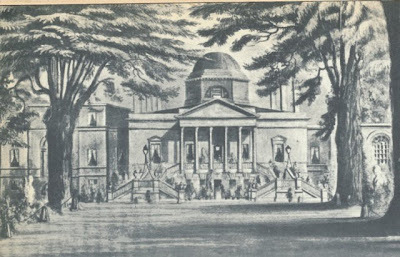 An illustration of Chiswick House, the Palladian villa of Lord Burlington. This pair of tables at Chiswick House were designed by Kent for Lord Burlington. 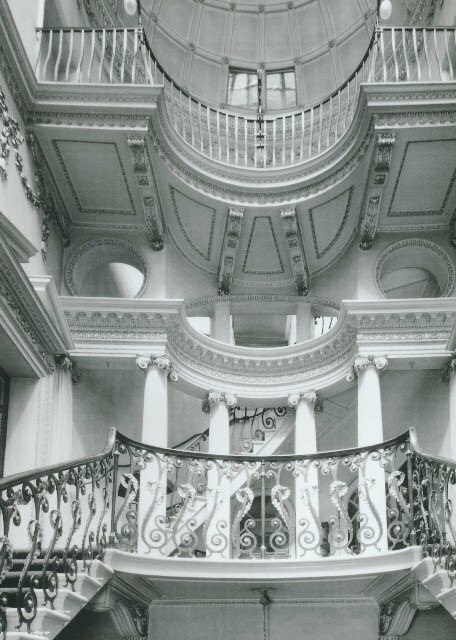 The ornate double staircase at 44 Berkeley Square, London. Kent was the architect of this house that was built in 1742. Portrait at top of William Kent, William Aikman painter, c. 1723-25, collection of the National Portrait Gallery. So what's today's "I want it. I need it. I have to have it."? Why, that would be a William Kent style table. A stretch, I know. 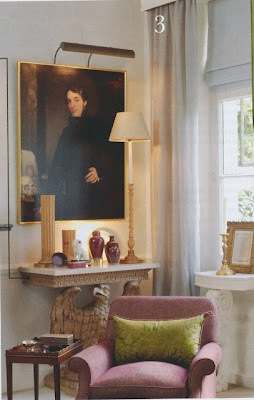 I think that my desire for pleated lamp shades will be fulfilled long before that of a William Kent table. Still, one has to have those aspirational pieces on her wish list. After all, you gotta have something to work for. So, who was William Kent and what did he have to do with tables? In a backward history lesson kind of way, that will be the focus of tomorrow's post. But in this post, I'll show a few examples of how these beauties are being used today. See that photo at top? That's a William Kent table in the home of Oscar and Annette de la Renta. An elegant table for an elegant couple. In the manner of William Kent, this eagle based console resides in the London home of Sue Stafford, former marketing director for David Hicks. 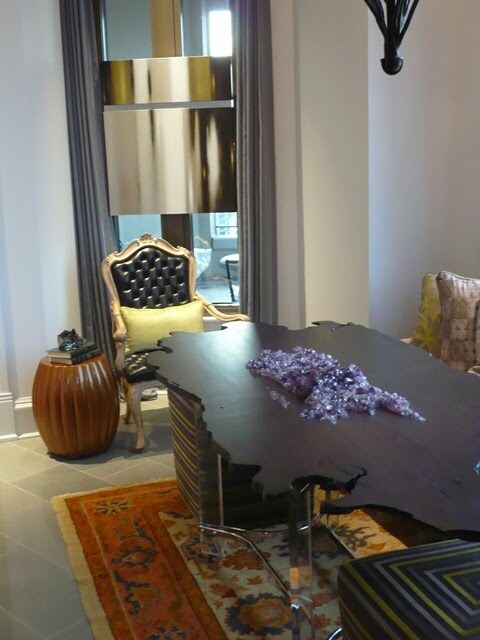 Alexa Hampton has this William Kent style table in her office. 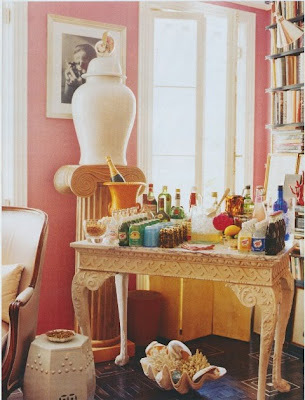 I wonder if Alexa's table is the same one that her father, Mark Hampton, used at the Kips Bay Showhouse in 1997. Looks like it. 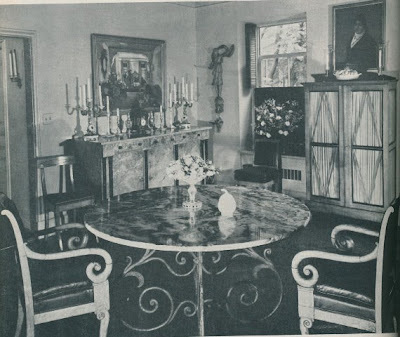 Mark Hampton also used a William Kent table in his Manhattan dining room. Who could forget that Miles Redd used his William Kent style table to serve drinks? A William Kent style table appears in another Redd project. 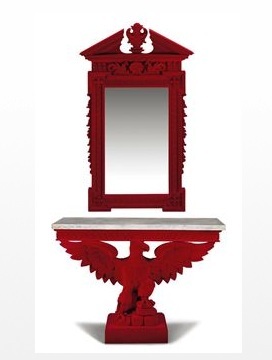 I'm not so sure about the red plush finish to this William Kent style console and mirror that was recently auctioned off at Christie's. That said, the carved eagle base is rather nice.